HAVANA, CUBA -- Thousands of Cubans have taken to the streets on Monday, joining the religious procession honoring the island’s patron saint, Our Lady of Charity, known in Spanish as La Virgen de la Caridad or La Virgen de la Caridad del Cobre. The Virgin is one of the island’s most treasured figures, representing hope and salvation in the face of misfortune. According to religious legend, the Virgin saved two brothers and their slave when their wooden boat sailed into a storm off the Cuban coast in the early 1600’s. Rosa Jimenez, a 50-year old Havana housewife, said that the Virgin “belongs to all Cubans”. In today’s procession, many consider themselves members of the Catholic Church but you find just as many who are practitioners of Cuba’s unique blend of Afro-Cuban religions and Roman Catholicism. While Cuba’s Catholic hierarchy claims that up to 70 percent of the island belongs to the Church, less than 5 percent regularly attend mass. 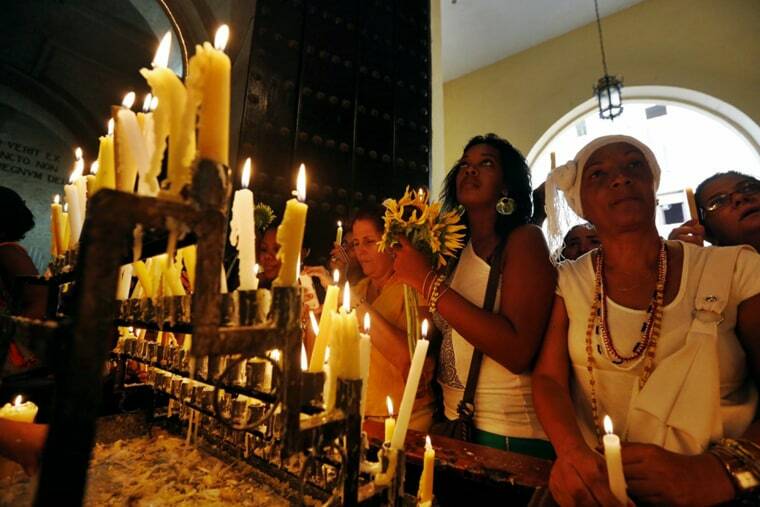 For almost four decades, from 1959 to 1998, all religious processions were banned by the Cuban government and many believers practiced underground in fear of being ostracized and losing their jobs. After Pope John Paul II visited the island in 1998, hostilities lessened between the Catholic Church and Cuba’s Communist State. Today, the Church is allowed more freedom to conduct its work, although the institution is still forbidden from running schools and would like more independence from government scrutiny.